Hotel Mondial, Berlin. 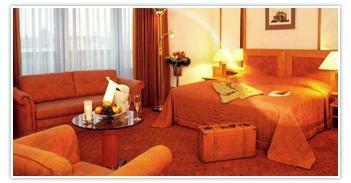 Mondial Hotel Berlin. The Hotel Mondial is located in an exciting part of the city filled with entertainment, music, culture, exhibitions and art. On this elegant corner of the famous Kurfürstendamm, this elegant, well designed hotel offers a wide variety of services such as a restaurant/lobby bar, conference rooms, wellness area, and hotel and underground parking. It is an ideal choice for those visiting the exciting city of Berlin whether for business or leisure, putting guests right in the middle of the action. The Mondial prepares a tasty seasonal cuisine with lovely specialties including asparagus, strawberries, herring, mushrooms, mussels, venison and goose. The boulevard terrace serves a lovely light menu, perfect for a quick lunch with friends or business colleagues.